James B. 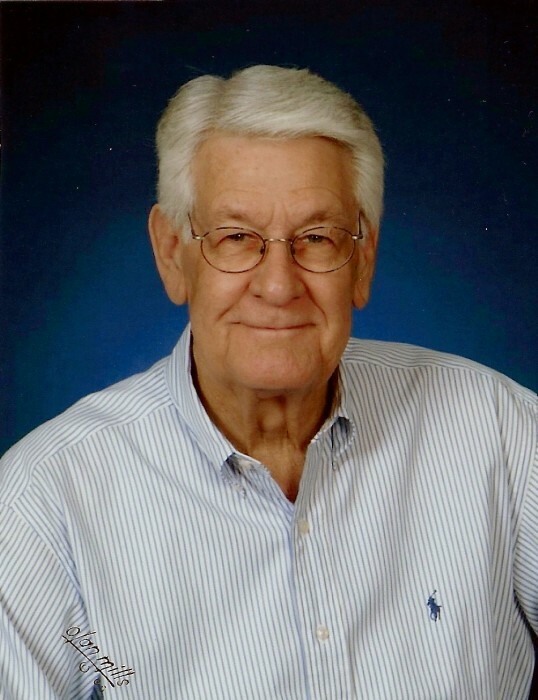 "Jimmy" Adams, 83, a retired Customer Service Supervisor for TXU Gas Company for 39 years, passed away on November 22, 2018 at his residence in Burleson. A visitation will be held for family and friends from 11:00 AM until 1:00 PM on Tuesday, November 27, 2018 at Lawson Funeral Home Chapel, Meridian, Texas. A private family service will be held shortly after the visitation at 1:00 PM with Rev. Tommy Brandon officiating. Interment will be in the Meridian Cemetery. Pallbearers include Eric Reaves, Keith Reaves, Brody Adams, Terry Younkins, and Curtis Roden. Jim was born November 29, 1934 in Meridian, Texas to James Linard Adams and Mary Ester Johnson Adams. He graduated from Meridian High School in 1953, Cisco Junior College in 1955, and attended Texas Christian University in Fort Worth, Texas. Jim proudly served in the United States Air Force Reserves. On March 9, 1957, Jim was united in marriage to Sue Harrelson in Cisco, Texas. Jim was a member of the First United Methodist Church of Burleson, a life member of the Fort Worth Area Chamber of Commerce and Active Ambassador of the Fort Worth Chamber of Commerce, and actively volunteered his time and talents with the United Way of Tarrant County. Survivors include his son, Byron Adams and wife, Lisa, of Mansfield; daughter, Pam Reaves and husband, Randy, of Crowley; sister, Mary Lynn Roden of Waco; grandchildren, Brody Adams and wife, Barbara, Eric Reaves and wife, Kristen, Keith Reaves and wife, Bethany, Liana Younkins and husband, Terry; five great-grandchildren; and a number of other relatives and friends. Jim was preceded in death by his parents Linard and Ester Adams, and his wife, Sue Harrelson Adams, on June 2, 2014. Messages of comfort and peace can be sent to the Adams family at www.lawsonfuneralhome.net.